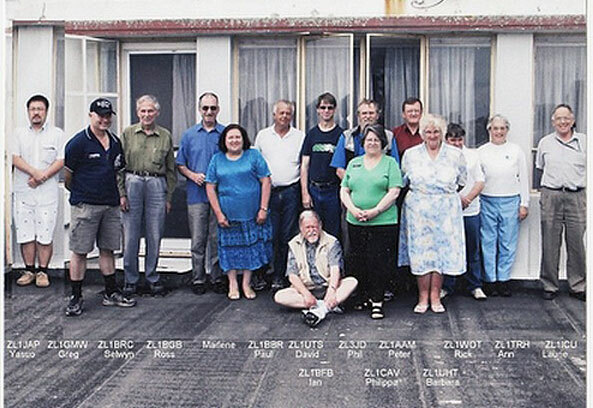 Members of the Suburban Amateur Radio Club, forerunner of the Musick Point Radio Group, photographed on 14 December 2008. The Musick Point Radio Group Inc (MPRG) is an association of licensed amateur (ham) radio operators with an interest in protecting and maintaining the historic Musick Memorial Radio Station as a memorial and radio communications facility. Until April 2012, MPRG was known as the Suburban Amateur Radio Club. The club would like to invite former technicians and operators to join in the challenge of restoring and working with this equipment again, even though it may have been modified for amateur use. MPRG is Branch 86 of the New Zealand Association of Radio Transmitters and operates the ZL1 QSL Bureau.